Kemy Agustien is a product from the Willem II youth academy. His talent was spotted by AZ in 2006 who signed the youngster on a 5-year contract. In his first season, he was immediately loaned-out to Roda JC. Not featuring in the plans of coach Louis van Gaal, he was allowed another loan deal in the start of the 2008-09 season. He moved abroad to Birmingham City in July 2008. Although his contract was still until 2011, he was requested to look for a new club. In August 2009 Agustien was send on loan to RKC Waalwijk for the 2009-10 season. He could not impress his club AZ and his contract until 2011 was cancelled. Agustien was available on a free transfer and went on trial at Swansea City in Wales. The club was happy to sign the player after a successful medical test. However there were some problems found. Agustien finally signed a two-year contract with Swansea City on October 7 2010 after spending the last month at the Liberty Stadium attempting to prove his fitness. 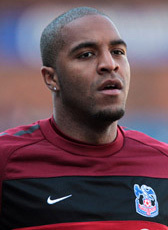 Kemy joined Crystal Palace on loan from Swansea for the rest of the 2010-11 season in March 2011. He just made 8 appearances for the Swans so far. Although his 2011-12 season was suffered by injuries, Agustien agreed another two years extension on his contract in May 2012. He is under contract until June 2014. At the end of July 2013, Agustien moved to Brighton to sign a 2-year deal. He was not necessary anymore at Swansea. Agustien was released when his contract at Brighton expired at the end of the 2014-15 season. In September 2015 Agustien signed a contract for a half year at Vendsyssel FF, a club in the Danish second division. His contract was not renewed at the end of 2015. In February 2016 Agustien trained at Swansea City, one month later he joined Hamilton Academical and signed a contract until the end of the season at the Scottish club. With a short spell at FC Dordrecht in the first half of the 2016-17 season, he went playing abroad at the Philippines. At the end of August 2017 he returned home and signed for TEC Tiel (Dutch second division). In January 2018 his contract was terminated. In July 2018 he played for a month spell in England at Nuneaton and signed in November 2018 for AFC Barrow playing on fifth tier in the National League.